On August 2, 1779, Lt. Colonel Richard Campbell and his command of 73 men marched out of Fort Laurens-neither dismantling nor burning the fortifications. With this departure, the only fort built by The Continental Congress in what is today the State of Ohio began its physical decline. Within the next one hundred years, the fort disappeared due to deterioration, possible fire by Indians, dismantling by area farmers, and construction of the Ohio and Erie Canal in the mid 1820s. In July 1887, Christian L. Baatz visited the site of Fort Laurens for the first time. We will probably never know what caused him to make this visit. However, that sojourn was followed by many others, often two or three times a year. These visits ultimately led to Baatz's desire and effort, twenty plus years later, to rebuild Ft. Laurens. C.L. Baatz was born in 1860 and raised in Massillon, Ohio. He served with the city fire department for 27 years from whence came his almost universally used title, "Captain". Captain Baatz became interested in Indian objects as a boy and began a collection of historic and prehistoric objects, which by the 1920s had become very large and distinguished. He donated great portions of his nearly 2000 piece collection to the Massillon Baldwin Museum shortly after it was established in 1933. It is probably impossible to determine for certain if Baatz's interest in Fort Laurens grew out of his interest in and knowledge of Indian artifacts. However, the significant concentration of Indian activities and relics in the Tuscarawas River valley make that conclusion reasonably safe. Captain Baatz did not act alone. He visited the site of Fort Laurens, 13 miles south of Massillon, with his friends and associates Ed N. Pease and William Lowe regularly and became acquainted with the owner of the ground, David Gibler. Gibler shared his interest in the fort and related many stories about Fort Laurens' brief existence and the many objects found at the site. 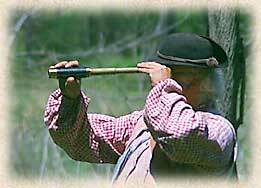 "David, who, with his brother Valentine, leveled the fort and prepared same for farming in 1853. At that time remnants of wood used as palisades were found embedded in the walls. Relics of the builders found consisted of bullets, buckles, a broken gun barrel and other unknown rusted objects of iron," wrote Baatz in a special article for the Massillon Evening Independent newspaper on August 2, 1913. In 1908, E.O. Randall and William Mills, both to become distinguished historians and archaeologists, visited the fort site and recommended that the Ohio Archaeologists and Historical Society (OAHS), for whom they acted, purchase the location and create a state park. Baatz and his colleagues became aware of this development and concluded to await the response of the OAHS. By 1913, Capt. Baatz had become locally recognized and the "promoter" of the history and significance of Fort Laurens and the "restoration" of the stockade. It had now been five years since Randall and Mills' recommendation to the OAHS to preserve the site and rebuild the fort. No action had yet been taken. And so, Baatz, Pease and Lowe decided to act on their own. The Daughters of the American Revolution (DAR) were planning on holding a state convention in nearby Canton, Ohio in October. Baatz, Pease and Lowe planned on attending in order to bring the issue of Fort Laurens and its preservation before the general DAR membership. Although the DAR eventually accepted the report on Fort Laurens given by Baatz at their 1913 convention, another year had passed without any action taken by the DAR, Sons of the American Revolution (SAR), or the OAHS to restore the fort. Again, Baatz, Pease and Lowe went into to action. 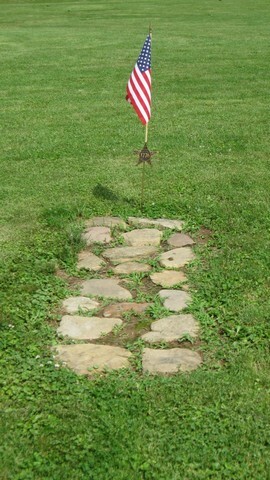 In 1914, the three pioneers of Fort Laurens' preservation began a petition campaign to gain signatures urging the Ohio legislature to purchase the site of Fort Laurens from David Gibler and to create a proper memorial at that spot. Petitions were sent to every DAR and SAR chapter in Ohio. After assembling all of the petitions, Baatz sent them to State Representative Hines of Tuscaraws County. Eventually, Hines introduced legislation in 1915 to preserve the Fort Laurens site. It was finally passed and signed into law in 1917 by Governor Frank Willis. Shortly thereafter, the OAHS journal reported on the purchase by the state of the Fort Laurens grounds. The OAHS, in remarking on the creation of such a "proper patriotic memorial" noted that the work of the OAHS, DAR and SAR had been "the key" in this important accomplishment. Baatz, Pease and Lowe were never mentioned. 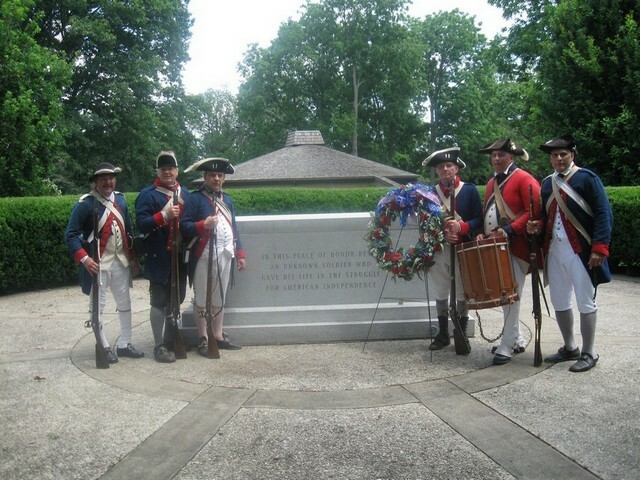 Ten years after Ft. Laurens became one of Ohio's first state memorials, the role Messrs. Baatz, Pease and Lowe had played in starting the movement that had brought about the creation of the Fort Laurens State Memorial was officially acknowledged and later printed in a 1927 Society journal. Capt. Christian Baatz died at the age off 77 on November 8, 1937. The former captain of the Massillon fire department, authority on Ohio archaeology and ethnology, founder of the Ohio Society for Crippled Children, charter member of the Massillon Boy Scout council, Rotarian, and museum curator had done about as much as any person could do to assist his fellow man in a lifetime. With the departure of Baatz, Pease and Lowe, their role in helping create the Fort Laurens State Memorial became clouded and often omitted from accounts of the site. It is hoped that this tribute will again call to the public's attention the significant work of these men, Fort Laurens' first promoters, and their leader, Capt. C. L. Baatz.